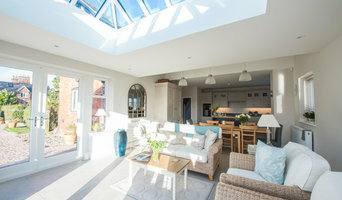 Urban Construction is Chester’s premier house extension and renovation specialist. We specialise in a wide variety of bespoke home improvement projects; designed to expand your space and breathe new life into your home, inside and out! 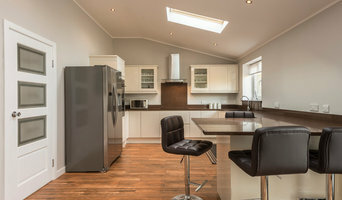 With a home or kitchen extension, you could make more room for a growing family or add value to your property listing. Our designs are drawn up with your specific needs in mind and our qualified, experienced builders can bring them to life in a matter of weeks. We pride ourselves on the high level of service, professionalism and expertise that we deliver, enabling us to build long term relationships with our clients who include homeowners as well as some architects and property developers. Glassar Projects specialise in extension, full renovation, new builds and general building work turning your ideas into reality today. With our handpicked team me and my fathers owners of Glassar projects have created a dream team of high class tradesmen giving you peace of mind in knowing you are in safe hands. e believe that building excellence shouldn't be determined by a clients budget. We feel everyone deserves the right to a beautiful living space. MIC are High End interior fit-out / building contractors, mostly in the Residential sector but we have also done Commercial work. Although most of are work is in central London we also work throughout the UK. As a company James Nolan Construction has been set up since 2010 and we have been very quietly growing from strength to strength without a need to look for new works. We operate throughout all of Merseyside and have recently been asked to go further afield. We now cover the North West but yet again are happy to work for the right client in any location on a national level. As our business continues to expand with our existing and ever growing customer base then so does our project values. Being privately owned, we are still small enough to care yet have a large enough structure to cope with ever demanding projects. Our directors and hands on, keen to meet new clients and very happy to chat through our services, expertise and quotation process. 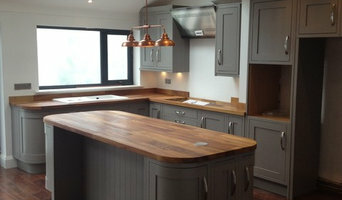 We are very experienced in the following projects: Restaurant design and build Apart Hotel / Hotel refurbishments Hospitality sector projects Office Refurbishments and fit outs Residential conversions and refurbishments New builds small commercial large domestic but are looking to expand our services into other areas, again with the right type of clients. If you have a new project but are looking for an experienced builder /construction company to partner with then please feel free to get in touch. MUD is led by two Cheshire natives who work exclusively with local architects, suppliers and construction professionals to create luxurious properties with a traditional heart. Our homes are made of predominantly reclaimed Cheshire brick, fired from Cheshire Earth. Commercial & Domestic builders covering North Wales, Wirral and Cheshire since 2008. Our clients range from residential customers, to large organisations and some small local businesses who are striving to expand. Cheshire based G&G Builders is a family run business established in 199 by Ged Hunter, providing a high quality, personal & stress free building service to home owners. Every building project is managed from initial plans, through to final completion; the emphasis is on quality workmanship & attention to detail, working closely with the Architect or directly with the Client to achieve exactly what is required. We are a small building company with an excellent reputation for Quality and customer services. Our highly qualified Friendly team will help to make your dreams a reality for a fair price. Father and son team Rob & Kyle Hughes formed RnK Contractors to help homeowners improve the way they live. Specialising in new build homes, full refurbishments and extensions, we can take your project from planning permission all the way through to completion. With over 45 years experience in the industry between us, you’re in safe hands! We believe that our family dynamic is felt in the way that we work, creating a caring and trusting environment. We’ll be offering to make YOU a cup of tea, because that’s just how we work! We go further than other builders to put you first, leaving you happy and satisfied with the work completed. Rob and Kyle are all heavily involved on site from start to finish, working with a small team of contractors who we have close relationships with. We’d love to meet you to chat about your project - call us today! McCombie Construction Ltd. is about flexibility, innovation and above all, results. Our team of experienced builders and dynamic designers will focus on your precise wishes to deliver cost-effective solutions to any project. Every project is important to us. Specialising in residential development for clients in Northwich and the wider Cheshire area regardless of its size and scope, McCombie Construction Ltd. throws the full weight of its team behind your project to deliver the results you've come to expect from us. Our innovative projects are forever keeping the competition on their toes. Whether it's a dream house or a new bathroom, McCombie Construction Ltd. has the skill, expertise and talent to exceed your expectations. Let us build your dreams! Why not build you own house with the help of Liverpool, Merseyside builders? Builders in Liverpool, Merseyside can be employed to handle a wide range of projects; from knocking down a partition wall to building a kitchen extension, but you’ll certainly need the help of a trusted house builder if you plan to build your own home from the ground up. But why would you take on such a task? This may seem like a daunting task, and admittedly, it’s not for the faint-hearted. 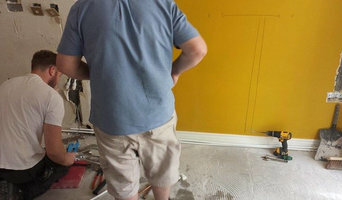 But with extensive research, trusted builders in Liverpool, Merseyside, detailed budgeting and good judgement you might soon be sitting in the house of your dreams, at a snip of the cost. Your architect’s plans will serve as clear instructions to your builder and, if the former has done their job well, you should also avoid any nasty surprises with the local council. Finding the right Liverpool, Merseyside builder need not be a long or difficult process. Personal recommendations aside, a good place to start is the Liverpool, Merseyside Home Builders category of the Find a Pro section on Houzz, where you can see their previous work and ask questions. Compile a shortlist of at least three builders in Liverpool, Merseyside that can handle the full scope of works, either by themselves or through sub-contracting. It is often a good idea to play devil’s advocate and ask what the builder will not be responsible for, such as structural engineer consultations. Be weary of unusually cheap quotes. Ask for references and stories about how the builder has met different challenges along the way. If you can, you could try to see builders’ previous projects in person and talk to previous clients, or if not, read reviews, recommendations and ratings, and look at detailed photos of projects. How long have you been operating as builders in Liverpool, Merseyside? Find builders on Houzz. Narrow your search in the Professionals section of the website to builders in Liverpool, Merseyside. You could also look through Liverpool, Merseyside photos to find a project you like, then contact the Liverpool, Merseyside builders that created it.